Halton’s top development program for hockey players aged 4-8 is now accepting registrations for the Spring session. The Cutting Edge Spring Future Stars League, under the direction of Head Instructor Jason Bergeron, will commence on Saturday, March 30. 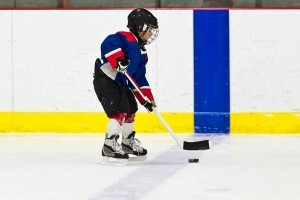 This program provides the ideal opportunity for each player to enhance their skating, puck handling, passing and shooting skills while applying them in game situations during each session. The Cutting Edge Spring Future Stars League offers premier instruction at the best price. After assessments have been completed, your son or daughter will be placed on a team in a division that best reflects their present skill level. A twenty-five minute practice followed by a twenty-five minute game will take place each Saturday between 12 and 5 pm. 2 coaches on the ice for every practice and game. Program designed and delivered by Head Instructor Jason Bergeron.